WE REMEMBER THE petite Ms Couric back in those days so long ago when she was co-hostess of the long running NBC staple, THE TODAY SHOW. We always found her to be energetic, photogenic and highly prolific, enjoying a great, long run on that show. We sympathized with when she lost her husband at an early age. THEN SHE MOVED on to CBS. The offer of the Anchor job on the CBS nightly news strongly beckoned; along with the monetary awards and status that came with it. But, it seemed that all was not well; for her tenure there was cut short. IT APPEARS THAT the trend today is more and more moving away from the networks' big evening news shows. Cable news (such as FOX NEWS CHANNEL) and the internet are providing so much of the news to a public; who had previously relied on guys like Cronkite, Huntley & Brinkley and Jennings. SO, AFTER AN odyssey which took her through several other jobs, she finally settled into her own 5 days a week syndicated talk show; and, in our opinion she has struck pay-dirt! 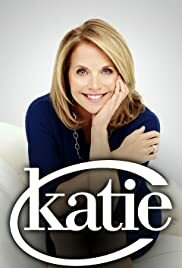 FROM WHAT WE have seen of the show, it's always informative, maintains a high standard of topics & guests and Ms. Couric is a good interviewer. She always treats her guests kindly and seems to make them at home. PLEASE, DON'T DO it, Katie!! !